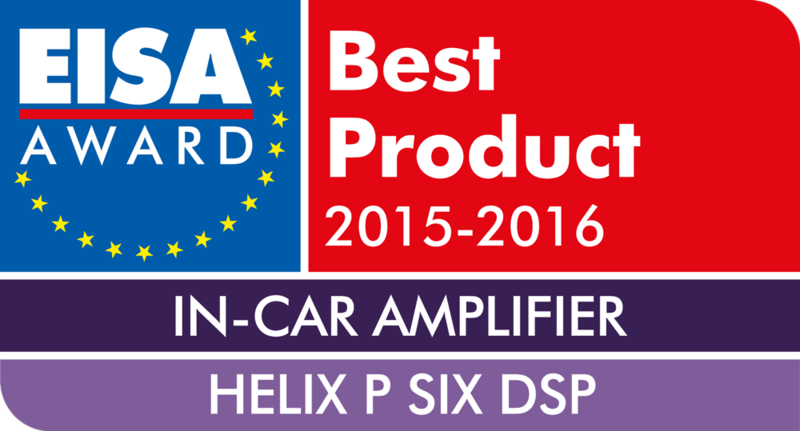 The HELIX P SIX DSP MK2 6-channel amplifier is not built to solely deliver loads of clean power; it also incorporates a cutting-edge 8-channel DSP with outstanding processing power. This amalgamation sets a completely new standard with its “Ultra HD Class D” amplifier technology. Thanks to its 96 kHz sampling rate and an extended audio bandwidth of more than 40 kHz, this technological feat of precision engineering raises the bar in terms of sound quality. If we put all that aside for a moment, versatility was another major milestone to be reached during the development process. Therefore, we are happy to introduce HEC. The HELIX Extension Card (HEC) slot allows you to extend the devices possibilities well beyond the commonplace RCA jacks. Interfaces like a Bluetooth® Audio Streaming module or a High Resolution Audio USB soundcard have been crafted to give you more options than ever. Two fully-processed RCA outputs provide connectivity for daisy-chaining more amplifiers without a need for a second DSP. The configuration of the internal 64 Bit DSP could hardly be easier thanks to the professional and user-friendly DSP PC-Tool software that offers almost unlimited sound tuning features. Despite this impressive feat of engineering, the P SIX DSP MK2 has not shed its HELIX design heritage; it still has the clean design while remaining very compact for ease of installation. HELIX Extension Card slot (HEC) for additional input / output modules like Bluetooth® Audio Streaming, High Resolution Audio Streaming via USB etc. 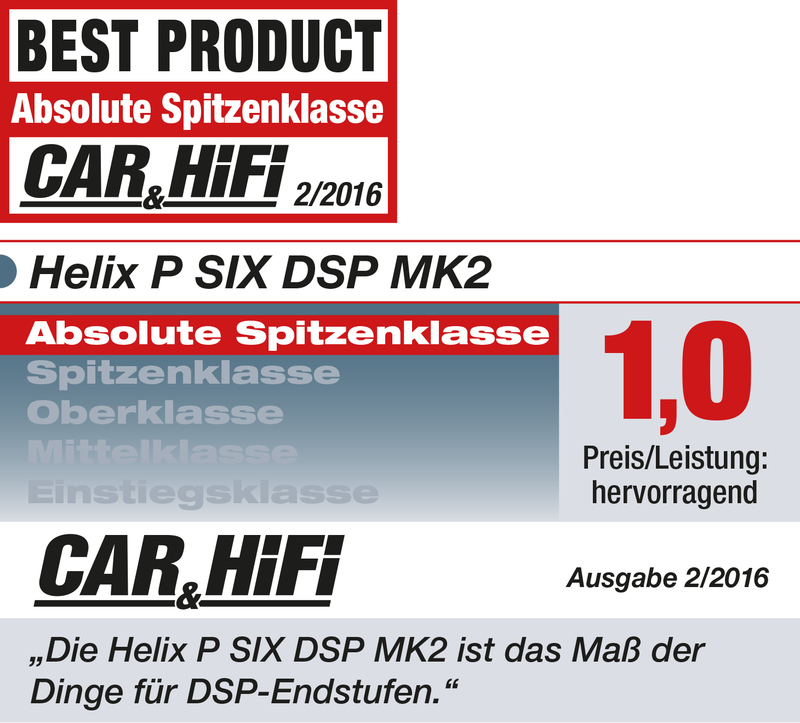 The HELIX P SIX DSP MK2 is the first Class D amplifier with integrated DSP on the market that runs at 96 kHz sampling rate. Therefore the audio bandwidth is no longer limited to 22 kHz, but allows an extended frequency response to more than 40 kHz. The higher sampling rate has only been possible by implementing the latest DSP and amplifier chip sets. 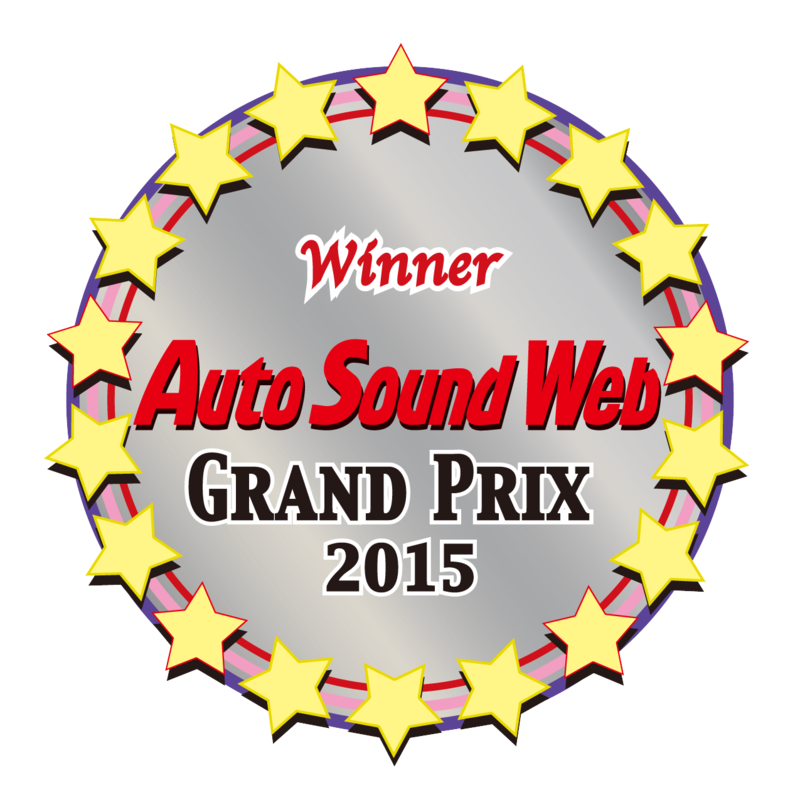 The result: a Class D amplifier with an unprecedented sound quality. It is possible to operate the P SIX DSP MK2 with a supply voltage of 12 Volts or 24 Volts (e.g. as usual in trucks) without the need to make any changes to the unit. In both operating modes the amplifier will have equal performance characteristics. This guarantees maximum flexibility for numerous applications. The latest generation of OE car radios incorporates sophisticated possibilities of diagnosing the connected speakers. If an usual amplifier will be hooked up failure messages and loss of specific features (e.g. fader function) are often the result - but not with the P SIX DSP MK2. The Power Save Mode is incorporated in the basic setup. It allows to significantly reduce the power consumption of the P SIX DSP MK2 and connected amplifiers once there’s no input signal present for more than 60 seconds. Please note that in many up-to-date cars with “CAN” or any other internal bus structures it may happen that the radio remains “invisibly” turned on for up to 45 min. even after leaving the car! Once the “Power Save Mode“ is active the remote output (Rem Out) and the internal amplifier stages will be turned off. The HELIX P SIX DSP MK2 will reactivate the remote output and the internal amplifier stages within a second if a music signal is applied. It is possible to either modify the turn-off time of 60 sec. or completely deactivate the “Power Save Mode” via the DSP PC-Tool software. The switched power supply of the HELIX P SIX DSP MK2 assures a constant internal supply voltage even if the battery’s voltage drops to 6 Volts during engine crank. Note: The Bluetooth® word mark and logos are registered trademarks owned by Bluetooth SIG, Inc. and any use of such marks by Audiotec Fischer GmbH is under license. Other trademarks and trade names are those of their respective owners.